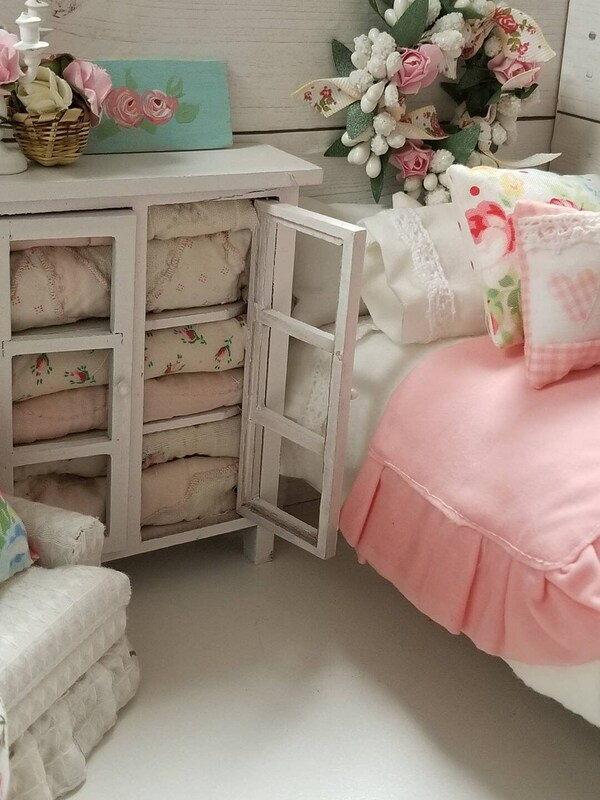 I love well made wooden dollhouse beds. 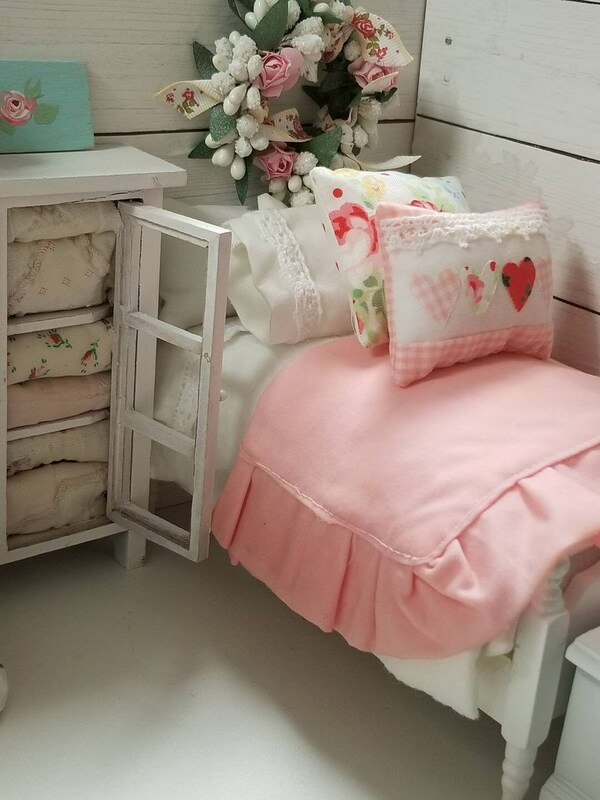 This vintage bed has been painted whote. 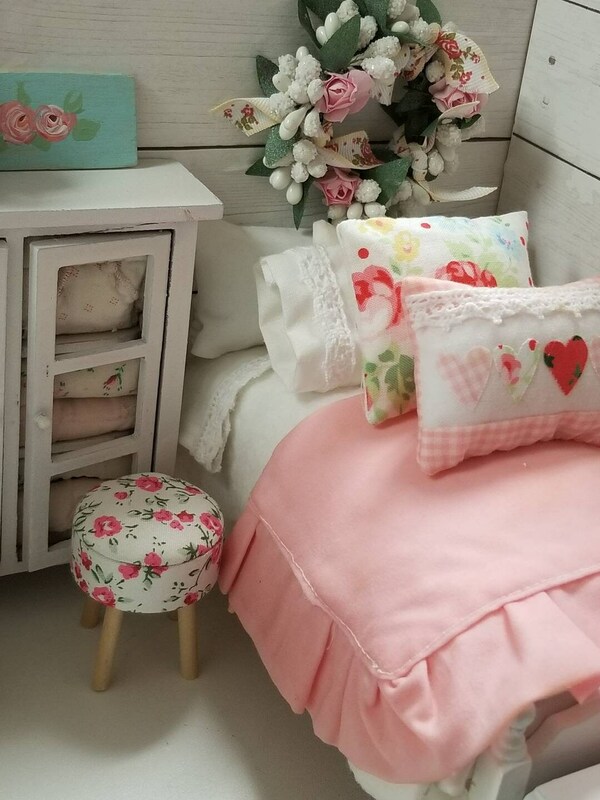 Next I made a white mattress and matching white cotton lace edged flat sheet and pillowcases. Pillow inserts inside pillowcases included. 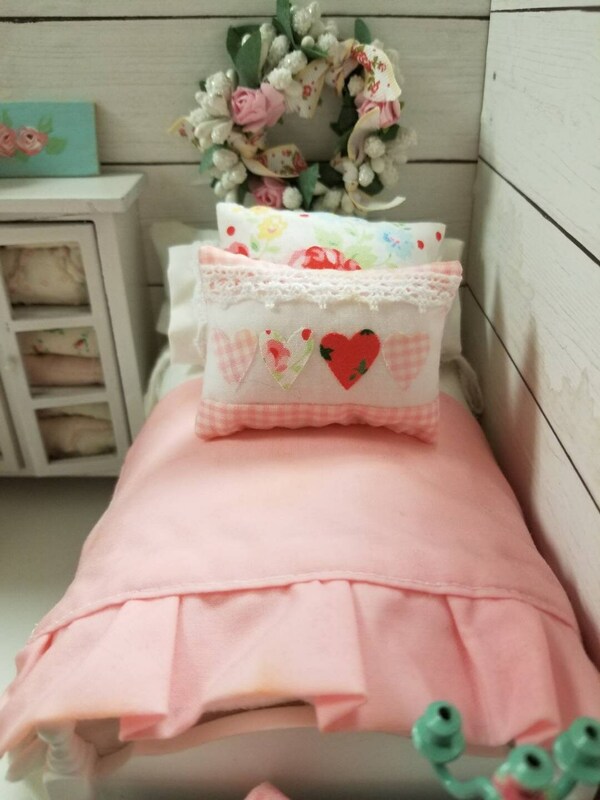 Additional bed pillows with a heart embellished decorative pillow. Lace edged sheet folds back over White wool blanket. Pink ruffled comforter is folded at end of bed. Bedding is designed and created by me. It is washable and removable.